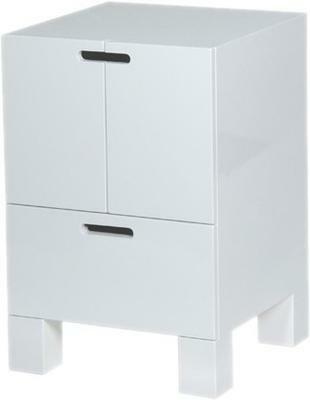 Sleek and modern in design, you'll love the minimalist contemporary look this White High Gloss Bedside offers. It's handmade using sturdy wood and covered in a lovely white shade that makes it easy to pair with existing home decor and furniture. 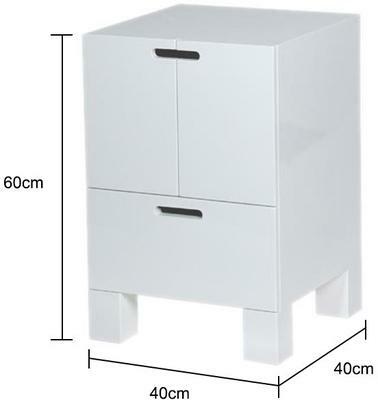 The bedside has a smooth square top surface with a two-door cabinet at the top portion and a single deep drawer at the bottom. Chunky legs helps provide stability while also serving as a design element. Ideal for use in your bedroom or in your living room, this lovely bedside is made for anyone who loves simplicity with function.